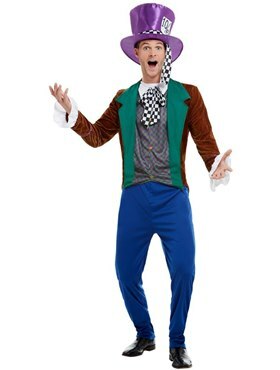 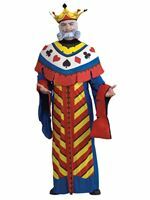 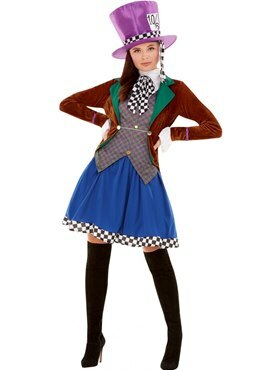 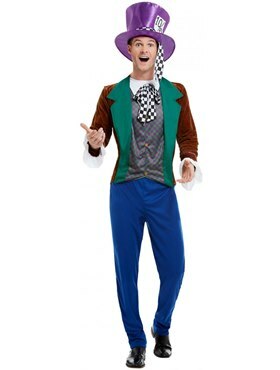 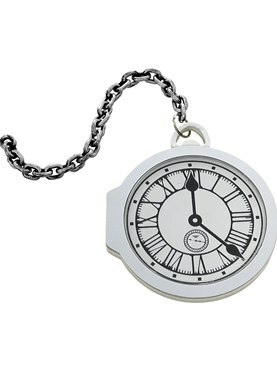 Host your very own tea party in our Mad Hatter Costume! 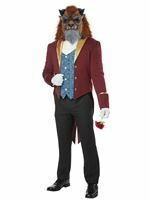 Our costume includes this red jacket which has a green collar and white frilled cuffs. Underneath is the attached purple and green checkerboard waistcoat which has a white collar and a matching black and white dickie bow. 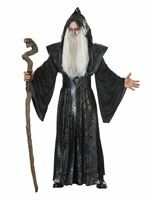 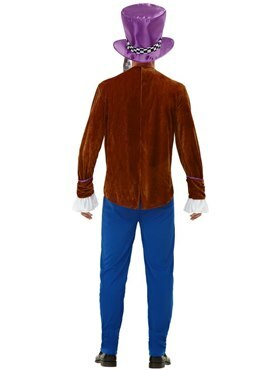 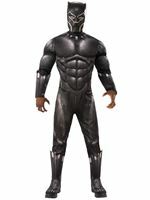 Completing our costume is a pair of royal blue trousers and the purple top hat.